The state’s oldest college, Mississippi College, is also its largest private university. Chartered as Hampstead Academy on 24 January 1826 by the citizens of Mount Salus (now Clinton), the school was renamed Mississippi Academy in 1827 and Mississippi College in 1830. The college’s first graduating class in 1831 included two female students. The school was originally unaffiliated with any religious denomination, but an 1840–41 alliance with the Methodist Conference convinced the college’s board that denominational support would stabilize enrollment and finances. The college remained under Presbyterian control from 1842 to 1850, when financial difficulties returned it to the ownership of local citizens. Led by Rev. Benjamin Whitfield, the Mississippi Baptist Convention the assumed ownership, beginning a relationship that continues to the present. The Female Department disbanded in the 1850s in conjunction with the 1853 establishment of the Central Female Institute (later Hillman College), also in Clinton. 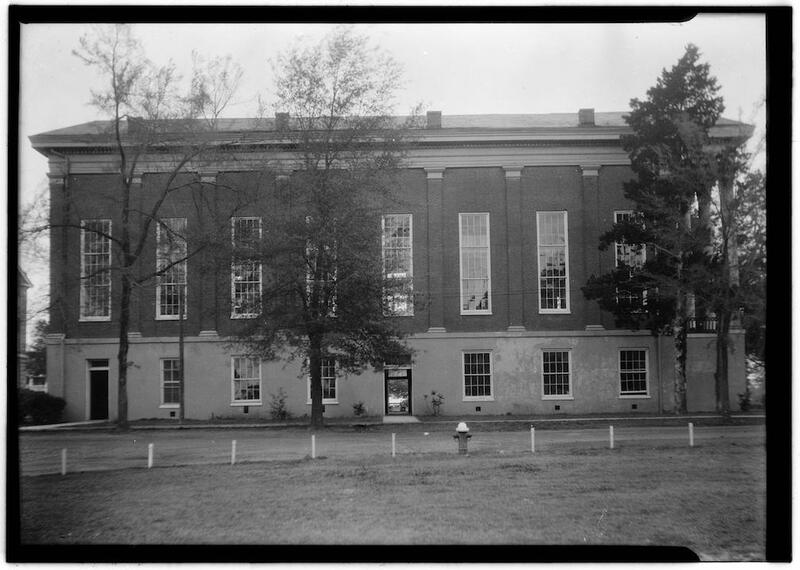 In 1860 the chapel building, which doubled as the home of the First Baptist Church of Clinton, was completed. It is the only antebellum building remaining on campus. After difficult Civil War and Reconstruction eras, the college prospered through the early twentieth century, securing full accreditation from the Southern Association of Colleges and Schools in 1922. Mississippi College regained its coeducational status in 1942 when it merged with Hillman. Graduate education began in 1950, and the School of Law opened in 1981. The same year, Clarke (Memorial) College in Newton, another Baptist institution, consolidated with Mississippi College, operating as a branch campus before closing in the early 1990s. In 1994 the school’s board of trustees changed the charter to make the board more independent, with the Baptist convention approving trustees from a list selected by the college. However, the school’s relationship with the Mississippi Baptist Convention continues. Notable alumni include several governors (including A. H. Longino, H. L. Whitfield, and Ross Barnett), six presidents of the Southern Baptist Convention, more than one hundred college and university presidents, several judges, several members of the Hederman family, educator R. A. McLemore, Episcopal leader John Allin, and author Barry Hannah, who used Mississippi College settings and people in some of his work.